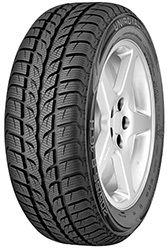 MS Plus 6 tyres are specifically designed for winter weather and conditions. Using a special compound and design you can benefit from the best levels of grip and stability in all conditions, including dry, wet, snowy, and icy roads as well as many more. This gives you the confidence to make any journey regardless of what situation you may encounter and you’ll always be in control. Uniroyal tyres are exceptionally high quality and deliver great results so don’t hesitate on buying MS Plus 6’s.